is a professional vocal ensemble made up of some of the leading singers in choral music, founded by Suzi Digby OBE. ORA seeks to captivate audiences with the highest standards of musical excellence combined with a fresh and engaging approach to performance. 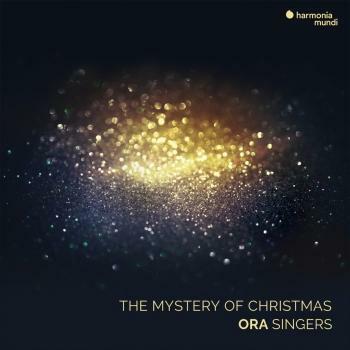 ORA is not just about singing, though that is at the core of its being, it is also about engaging audiences on many levels with a dramatic and all-encompassing approach to performance that makes true ‘events’ out of concerts. 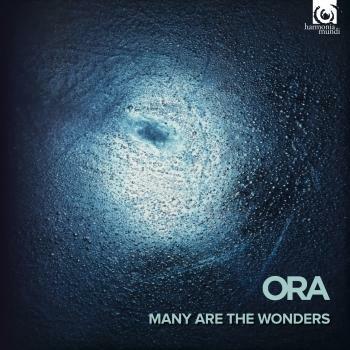 ORA came into being through a belief that we are in a second golden age of choral music, matching that of the Renaissance. The choir’s performances and recordings showcase ‘classic’ masterpieces of Renaissance choral music alongside specially commissioned reflections from prominent and award-winning contemporary composers. was born in Japan and lived in Hong Kong, Mexico and the Philippines before settling in London & Cambridge. She is an internationally renowned Choral Conductor and Music Educator. She has trail-blazed the revival of singing in UK schools and the community over two and a half decades. Suzi founded and runs the following influential National arts/education organisations: The Voices Foundation (the UK’s leading Primary Music Education Charity); Voce Chamber Choir (one of London’s finest young Chamber Choirs); Vocal Futures (Nurturing young [16-22] audiences for Classical Music); Singing4Success (Leadership and ‘Accelerated Learning’ for Corporates) and The London Youth Choir (a pyramid of 5 choirs, 8-22, serving all ethnic communities in London’s 33 boroughs). Suzi is also a visiting Professor at University of Southern California (Choral Studies) and in 2014 launched her Californian professional vocal consort, The Golden Bridge. As a conductor, Suzi’s 2011 debut with the Orchestra of the Age of Enlightenment (Vocal Futures’ Bach’s St Matthew Passion) was met with outstanding critical acclaim: “Choral wizard”, “The mother of all music”, The Telegraph; “Sensitive and accomplished conductor”, Musical America; “A serious force for good within Britain’s music education system”, New Statesman. Suzi annually conducts 2,000 voices in the Royal Albert Hall in a scratch Youth Messiah which, last year, this was awarded Best Classical Music Education Initiative Nationwide by popular Classic FM vote. Suzi has conducted many major choral-orchestral works with, amongst others: BBC Symphony Orchestra, London Mozart Players, Orchestra of the Age of Enlightenment, Brandenburg Festival Orchestra. Venues at which she has conducted include The Royal Albert Hall; St John’s Smith Square; the Gstaad Festival; Ambika P3, London; St Martin in the Fields; St James’ Piccadilly; King’s College Chapel, Cambridge; and (with the Rolling Stones) O2; Glastonbury Festival and Hyde Park. Suzi is a Trustee of Music in Country Churches, among other music and education charities. She is Past President of the Incorporated Society of Musicians and was Acting Music Director of Queens’ College, Cambridge (where she founded and runs the Queens’ Choral Conducting Programme). Amongst many TV appearances, she was judge in BBC1’s hit show, Last Choir Standing with over seven million viewers. She regularly adjudicates choral competitions and gives workshops and lectures around the world.